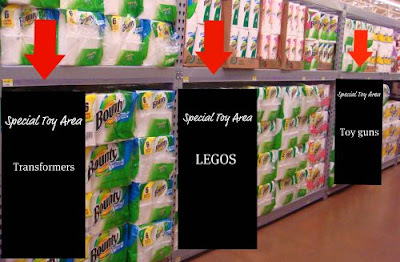 I was recently at the Highland Village Wal-Mart to pick up paper towels. When I got to the bright and shiny aisle, I looked around. 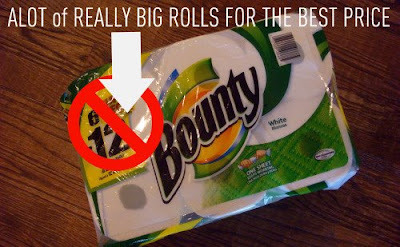 I needed white, large rolls of Bounty in a big package for the best price. 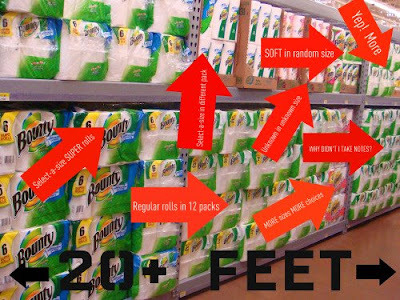 Yep, there is over 20 feet of Bounty bulk paper towel packages. I felt a bit lost in the Bounty department. Let’s find large white rolls of paper towels for the best price! 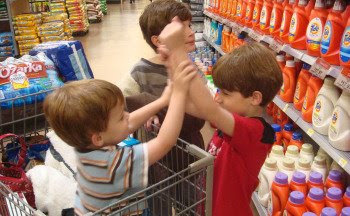 Please stop pushing your brother! You boys need to stay with me here. No one should be hitting any person or thing! Brothers are nice to each other. Stop wrestling! No one should be touching a brother. 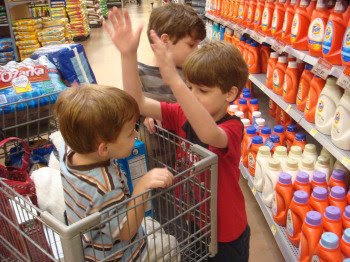 All boys need to behave or we will be skipping the toy aisle! OK. I am going to stop right here. I want off this crazy train. 1. 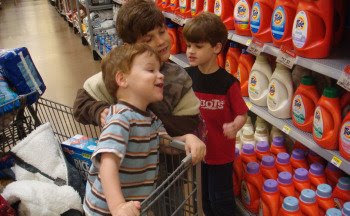 Bounty could make large white paper towels in big packages – if they search their line carefully, they might find they already produce such a product. 2. 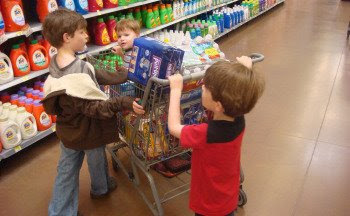 Wal-Mart could move a portion of the toy aisle – I suggest Transformers, Legos and toy guns – to allow frazzled moms a moment in peace to figure out which is the right product. It would give us a chance to solve the Where’s Waldo paper towel search. Until one of my solutions are adopted, I am boycotting paper and pulling out the old fashioned, cloth…*gasp*…towel. This is why I still have three children. And the WalMart security people haven’t called CPS on me in MONTHS.